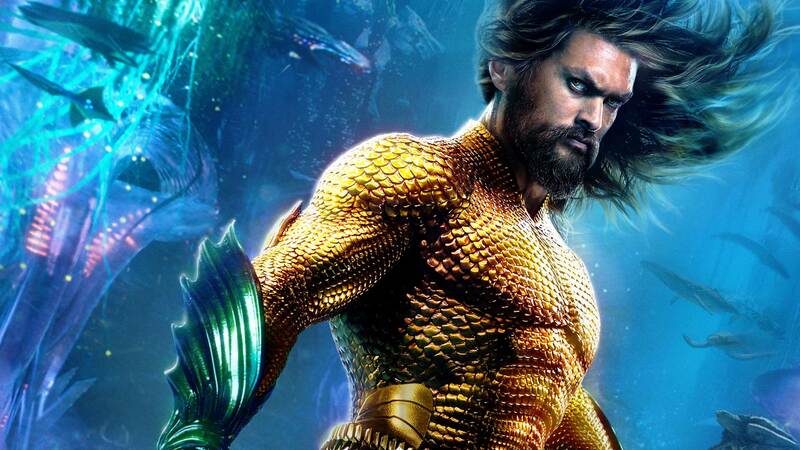 Aquaman may not hit theaters for another month, but pardon us if we start getting excited now. Warner Bros. just released not one, not two, but SEVEN new posters for the highly anticipated DC film. Showcasing much of the movie’s core cast, the posters give us new snapshots into the characters’ personalities and motivations. While Jason Momoa’s Aquaman is seen striking a surprisingly menacing hero pose, King Orm—his half-brother—is all rage and aggression (it helps that he’s flanked with a great white shark and his monstrous tylosaur). The posters also highlight Mera, Black Manta, King Nereus, Queen Atlanna and Vulko. Check them out below! Aquaman arrives in theaters on Friday, December 21, 2018. For more on the upcoming DC blockbuster, click here. Aquaman, aquaman movie, aquaman posters, aquaman movie posters, jason momoa, jason momoa aquaman, james wan, james wan aquaman, amber heard, patrick wilson, nicole kidman, willem dafoe, yahya abdul-mateen, Dolph Lundgren, dc films, dc movies, dceu, warner bros.